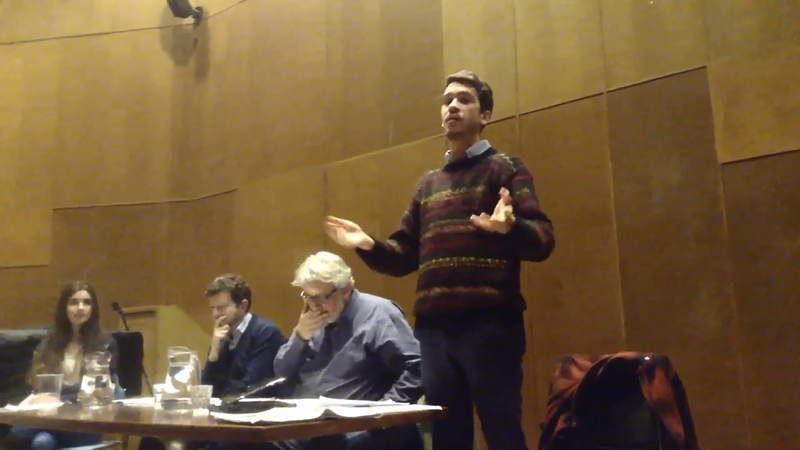 Opening speeches from the three speakers at our joint event with the Cambridge Universities Labour Club. Adam Booth, editor of the Socialist Appeal website, put forward the case that any attempt by left reformist leaders to attempt to create some form of “responsible capitalism” is doomed to failure, due to the inherent laws of an economic system which has the maximisation of profit as its prime driving force. He also touched on the shifting mood of the general population, with opinion polls showing support for the nationalisation of railways, strike action happening all over the country and the popularity of Russell Brand’s call for revolution; all clear indications that the views of the public are far to the left of what any mainstream political parties are currently offering. We began as a Party of protest. We must never lose that, never forget it. Our last speaker was Matthew Doyle, former spokesman and political director for Tony Blair. Whilst agreeing on the point that trade unions should play a stronger role in both the Party and the workplace, Matthew strongly defended his view that New Labour was a progressive step, and that it was not a betrayal of values to want to win elections. He opined that Labour can only win if they can convert people who don’t think of themselves as Labour, and that a party of centre left can only win on centre ground. What makes a successful government [is] one that shapes public opinion in order to move towards long term change. Adam expanded on this by saying that the centre ground is a myth, as there is no such thing as one, unchanging public opinion – events change consciousness, and the deep crisis of capitalism we are currently in ensures that there will be no shortage of social and political upheaval in the coming years. Labour should shape public opinion and not just respond to it. 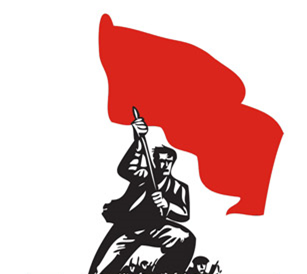 Explicitly socialist/communist parties get very few votes as not only are most people unaware of their existence, but they exist on the fringes of the labour movement as they reject the potential of the Labour Party to change in times of crisis, in response to the material demands of the population. Many “middle class” people are increasingly taking working class action – take the example of the university staff strike, with lecturers on the picket lines. The fact is, during the economic crises that are inevitable under capitalism, all working people suffer attacks to their living standards in order to pay for a crisis they did not cause. The youth are highly disillusioned with the entire political process, as none of the mainstream parties are currently offering anything but three variations of austerity. Labour must take steps to win over the confidence of the youth, who have been hardest hit by the crisis. Nationalisation of sectors of the economy doesn’t equal socialism, but what makes public ownership fundamentally different to other types of reform is the fact that it doesn’t leave real economic power in the hands of a tiny minority of the population who only have shareholders to answer to. When was the last time there was a mass protest against immigration? It is only the defense of material, economic conditions that brings the masses out – the 2011 public sector strike involved two million workers. If you’re interested in finding out more about Marxist perspectives of the Labour Party, have a read of this article from marxist.com.